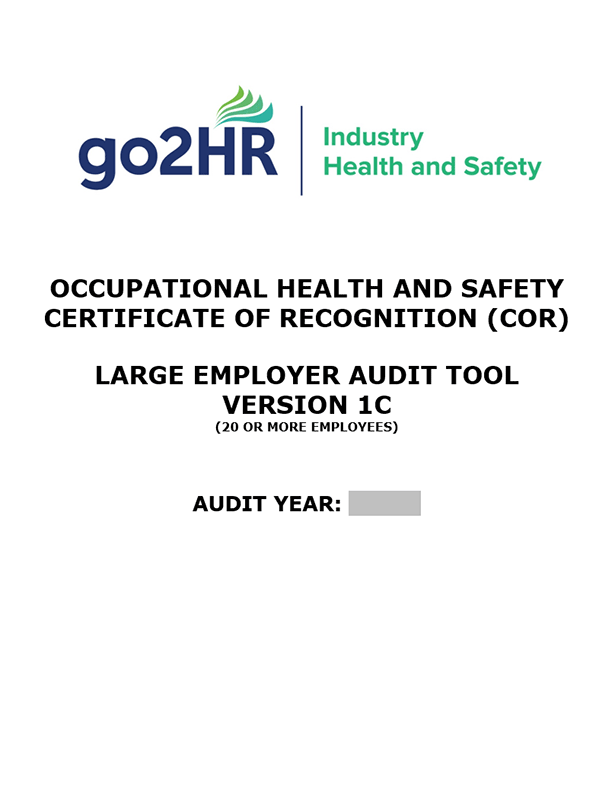 This guide includes health and safety information and hands-on resources, such as a form for assessing risks and a template for a chlorine exposure control plan. The Watch Your Step guide includes forms, checklists, and other resources that will help you prevent slips, trips and falls. Every food and beverage business must have an OHS program to help prevent accidents and injuries. This template contains the basic components of a program, which you can modify and add to as necessary to create your own unique program. 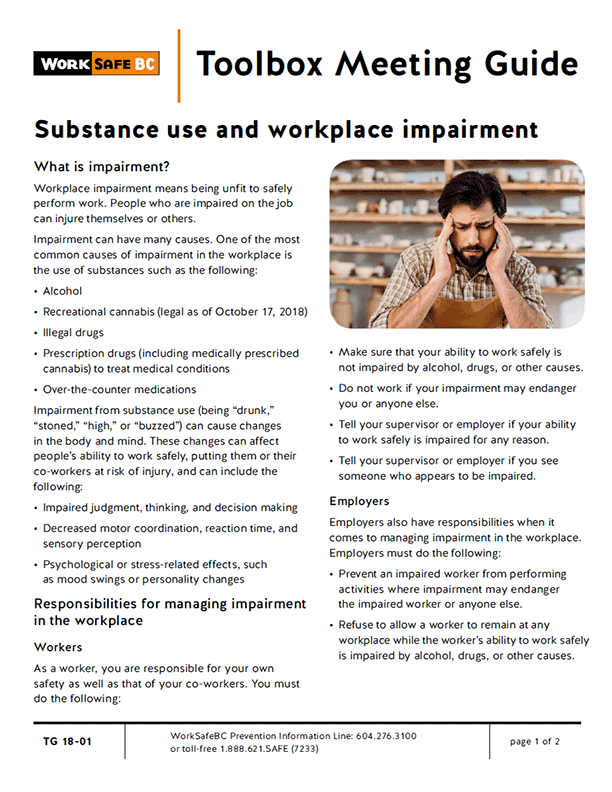 WorkSafeBC has collected a variety of resources to help prevent common injuries and illnesses in the food and beverage industry. 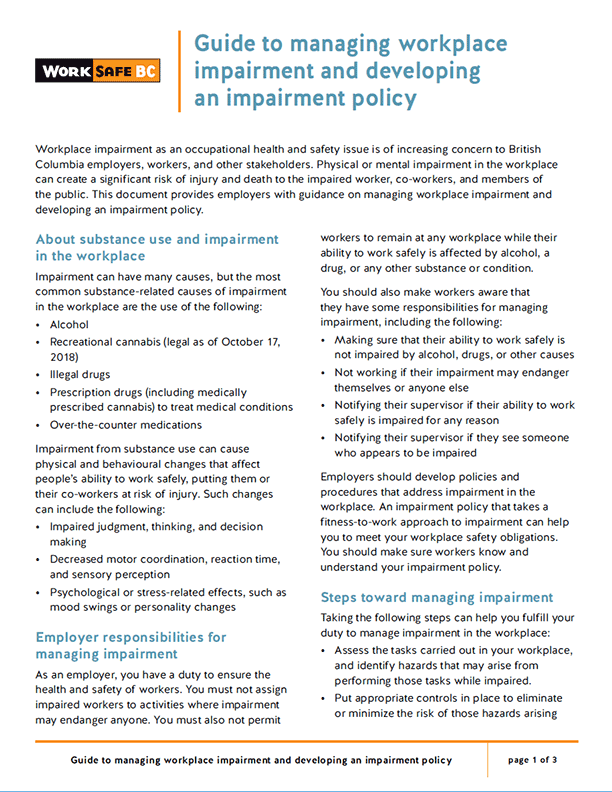 WorkSafeBC has collected a variety of resources addressing common health and safety issues in pubs, bars, and nightclubs. This WorkSafeBC Hazard Alert describes safe work procedures to follow when working with meat grinders. How many hazards or dangerous work habits can you spot in this photo? 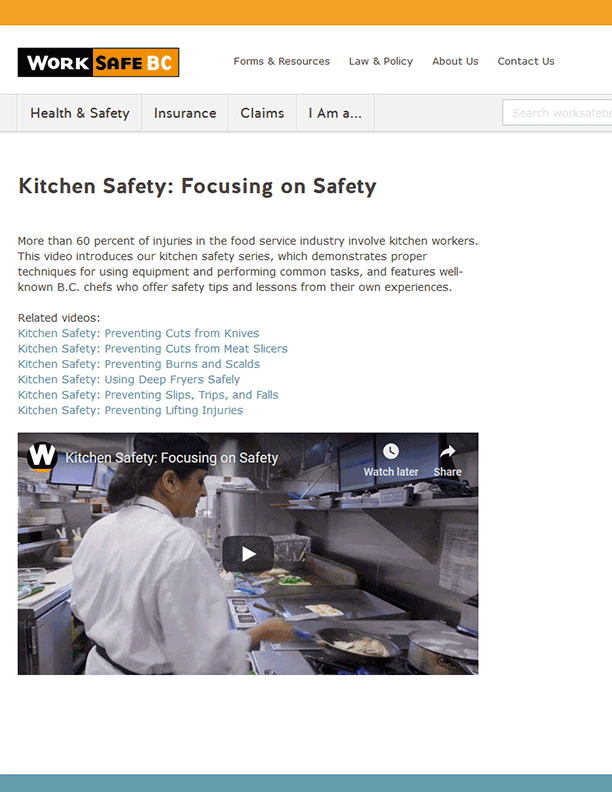 Use this resource to train your staff to identify potential hazards when working in the kitchen. 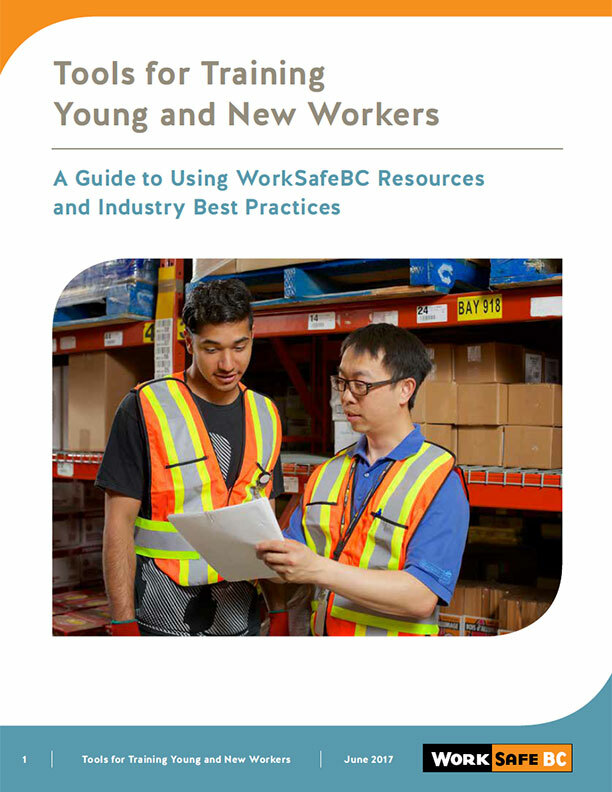 These WorkSafeBC health and safety resources should be useful to apprentices as well as cooks who are employing or training an apprentice. Commercial kitchen workers, beware. To avoid getting hurt at work, read your manual, listen to your supervisor, and say no to unreasonable requests.